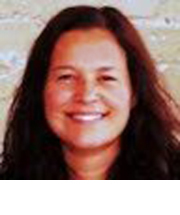 Brenda Liz (Bren) Muñoz is an Advisory Council Member with GCDD, Georgia Council on Developmental Disabilities, as well as a 2014-2016 Family Fellow/Trainee with GaLEND, Georgia's Leadership and Education in Neurodevelopmental Disabilities, School of Public Health at Georgia State University, and a Georgia Department of Public Health/Autism Plan for Georgia/Parent to Parent of Georgia Parent Partner working with Dr. Leslie Rubin at Children's Healthcare of Atlanta. She is an English<>Spanish freelance bilingual, multicultural advocate, educator, cultural broker, interpreter, translator and consultant. She obtained a Master of Science degree in Education with focus on Educational Foundations and Policy Studies, as well a Bachelor of Arts in Sociology and Spanish (dual major) and Women's Studies (minor). Brenda Liz (Bren) holds a professional certificate as an Interpreter in Education from The University of Georgia, completed Partners in Policymaking in 2014, and is a recent graduate of the inaugural Georgetown University, National Center for Cultural Competence, Cultural Diversity and Cultural and Linguistic Competence and Intellectual and Developmental Disabilities Leadership Academy funded through a cooperative agreement with AIDD, Administration on Intellectual and Developmental Disabilities. Brenda Liz (Bren) is married to Kenneth Maurice (Ken), a cultural anthropologist and professor within the University System of Georgia, and both are proud parents of a tall, dark and handsome nonverbal young man who lives with autism spectrum disorders. Her blended family is multicultural and fluent in English, Spanish and (Brazilian) Portuguese. A native of the island of Puerto Rico, she lived in Hartford, Connecticut for two decades, and a few years ago relocated to metro Atlanta, Georgia. Other leadership service engagements are with the award-winning Broad Prize in urban education Gwinnett County Public Schools as Advisory Council Member of the Local School Board, liaison with the American Association on Health and Disability, and mentee to Mathew (Mat) McCollough, Executive Director of the Washington D.C. Developmental Disabilities Council. Advocacy and leadership on lifespan services, opportunities and supports for/with individuals, families and communities living with intellectual and developmental disabilities, the arts, social movements and resistance, disabilities studies, educational policy and practice, special education services, diversity, cultural competence, intersectionality, identity formation, immigration and resettlement, language access, public health and promotion, community-and popular- education, participatory action research, civil and human rights and social justice.